Haier 4Kg Sensor Clothes Dryer Features Easy Front Access Lint Filter, Dial Control, Wide Opening Door, 7 Temperature Settings, Timed Drying, Front Vented, Air Dry Cycle, Directional Front Grill, Start/Pause Button, Reversible Decal Supplied. Thanks to the included wall mounting kit you can save valuable space in your laundry by installing the dryer up onto the wall. Perfect for homes with little laundry space. By periodically reversing the direction in which the drum spins during the cycle, tangling and wrinkles are reduced and even drying is achieved. The smaller, compact design of this machine makes it a great choice for those with limited space, particularly those living in units or apartments. Sensor drying saves time and energy by monitoring the temperature and moisture content to ensure garments are dried to the desired setting. Had for a few weeks and it's doing everything that I wanted - dries my washing when it's raining or if I need something faster than outdoor hanging. Seems good and I'm happy so far. Auto dryer feature is great. I dry my clothes on the line most of the time but I do like fluffy towels! My dryer is also important for those days when the outside weather doesn't cooperate, whether it be high humidity, summer storms or winter rain. 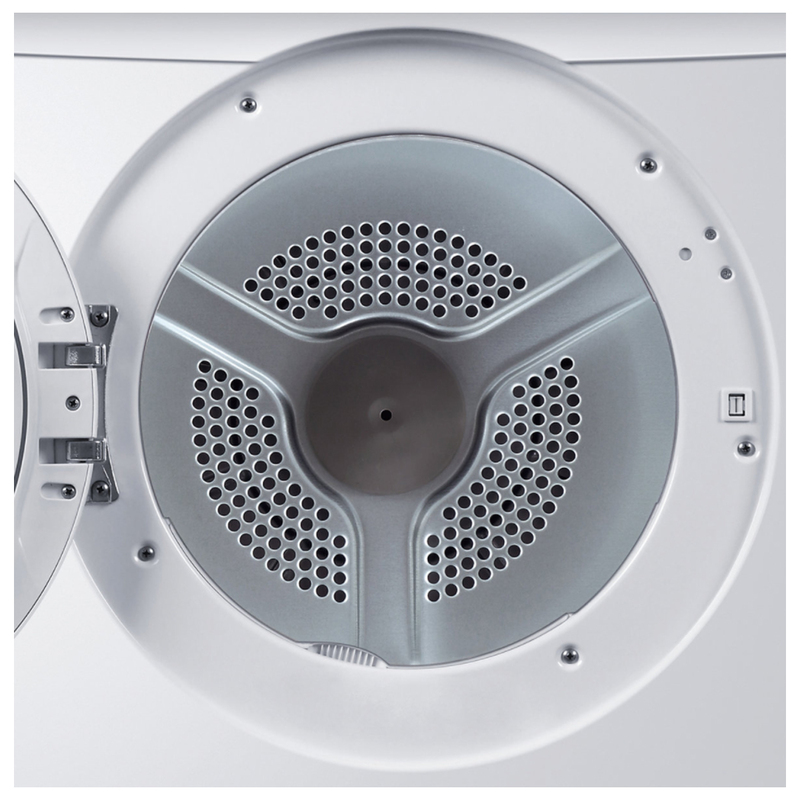 This dryer covers the basics, is relatively quiet and the lint catcher is so easy to remove and clean. I'm happy! I bought this for my 83 year old mother. She needed a dryer that was easy to use. 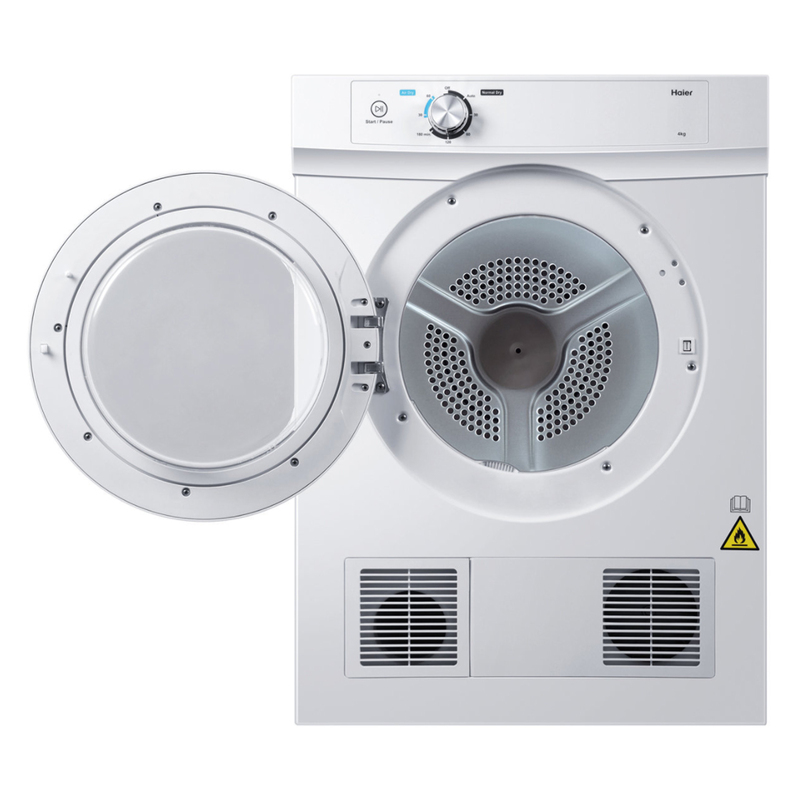 This dryer was chosen over many popular brands because of its features (sensor dry) and simplicity. My mum loves it. Replaced a 15+ year old Simpson. Has automatic off when dry and turns in both directions. I bought the dryer. I live in a caravan park and I have it in my annex. It is very quite and dries my clothes efficiently. It works as described, easy to maintain. The auto cycle doesn't seem to get clothes 100% dry, perhaps it errs on the side of caution. Good value for money. We needed a wall mount dryer that did not come out from the wall too much as our unit laundry is very small. This dryer was the only one that fitted the bill. Plus the price was very reasonable and the quality is great. My first time using a clothes dryer so I didn't expect it to be quite slow to dry stuff. However it is simple to use, nice design and does its job well enough. Fast service. Pleasant helpful delivery guys. Dryer has worked flawlessly. Great value for money. I love this dryer, it looks great and the auto function is the best, just leave on and the dryer stops when they are ready, the service and delivery was a great experience, highly recommend! Few weeks ago i purchased a Haier clothes dryer from Appliances Online.As usual prompt service ,delivered and old dryer removed.New dryer is great very happy with my purchase once again. The dryer is good as it dries the clothes perfectly, for what it was intended to do. But it does have a rattling vibrating noise, not all the time, but it does happen often during the process. I clean the lint , at intervals hoping to take the rattling vibration noise to stop. But doesn't seem to change anything. Not sure this is happening because the irritating noise is still there. But the clothes are dried and find the sensor to be good never that that before from previous machines.. If it was a quiet machine all the time I would give 5 stars. Have had this dryer for a month and couldn't be happier. Hubby does the laundry and he loves it. Temperature isn't over hot so things don't get wrinkled. Dries efficiently ... set on Automatic and let the dryer do it's thing. Dries synthetics especially well plus things don't tangle. I bought this after my old dryer packed it in. I absolutely LOVE this dryer. It has an Auto function which senses when the clothes are dry, so it saves electricity as I used to just flick the switch for 30 minutes in my old dryer. The clothes come out far less wrinkled which saved ironing in some cases. Also, a big shout out to the men who delivered it. They gave me a delivery window and then let me know when they were on the way. Excellent service. They even took the pesky packaging which is usually a nuisance to get rid of. New time I am in the market for an appliance, I will be coming to Appliances Online for sure. Works well though I would like it to be a little hotter. Initially was very quiet but developed a vibrating noise after a week. If it gets any worse I will need to call a service technician. Pretty disappointing. I bought this dryer just over a month ago and I couldn't be happier. It's easy to use and has a good selection of settings. It is a bit noisy but not a big enough issue to avoid purchasing. Bought this for my elderly neighbour. He is so pleased with his new dryer, really loves it. His only "complaint" is he cannot hear it running as it is so quiet. For the price this dryer is recommended. I am so pleased a purchased this dryer. Quiet, efficient and fast. Put a load of washing on in the morning by noon all clean and dried and put away. I bought this dryer a month ago and am so happy with my purchase. Great value dryer with automatic drying feature. Easy to use. Easy to clean. No creases! My second Haier dryer. Love mine so bought this one for my son! Great dryer has a sensor of when cloths are dry. Fast drying and reasonably quiet. Purchased a month ago, and so far have been very happy with this product. I particularly like the auto dry function- my clothes always come out dry without over-using the dryer. No other fancy functions, but they aren't necessary. For the price, you can't go wrong, and can't fault the service of Appliances Online. Dryer was delivered the next day, installed and old dryer taken away in minutes. Will definitely try a Haier again, and will definitely purchase through Appliances Online again. Bought dryer now will buy a new washer .great company and service. I bought one on May 2017 and another one on Sep 2017. Both of them had issues that needs a service on Oct 2017 and Nov 2017 respectively. Wait for a week until someone came. I bought this one month ago and have been very impressed. The machine is quite and does a great job - quite gentle in it's drying. I am very happy with this purchase. Delivery from appliances online was faultless as usual. Great service. Good dryer for the price and okay for limited use power wise. Has some good functions. Good value, and easy to use controls that auto sense the load. Easy to access lint filter at the front. 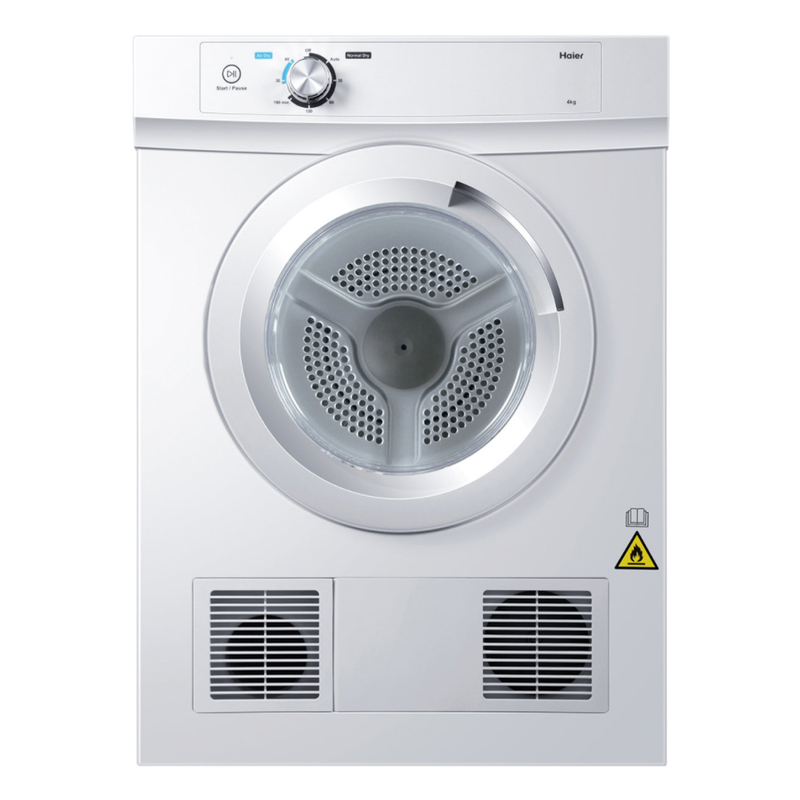 Appliances OnLine offered the very best price for the Haier sensor dryer, along with free delivery to Launceston. Very happy with the speed and advised delivery, and with the great dryer which takes all the guesswork out of knowing when your clothes/linen/towels are dry. Like Korean cars, Chinese consumer electronic have really improved their products over the years! With this price, you would struggle to do better in terms of value for money. Takes too long to dry a bunch of clothes. Waste of time and electricity. I am so happy with my new dryer. It is solid and a great down to earth appliance. It dries a larger load than my old 6kg in no time. Might even look at a washing machine to go with it now. I have been using this dryer daily since I purchased it and I love it. It looks great, lint filter is easy to clean, large drum for big loads and it dries the clothes quickly. Would definitely recommend. Machine is quiet for the first two days, then it gets loud as anything, and now I'm stuck with a noisy drier, that I can't stand. Bought this last month, been using it. I've used the Auto settings cause its easier and it always comes out dry. Dont expect too much.But for the price , this drier is definitely worth it! Also, the deliver guys did an excellent job ! Excellent product, does the job for me. I was able to stack it up on my existing Simpson washing machine using a rubber mat. Good value for money. Bought this recently. First dry was normal. Second, it made so so much noise. Something had obviously come loose.